Should Chimps Have the Rights of People? When the label on a 1928 Chateau Petrus looks a little funny, who you gonna call? Bill Blake’s complicated relationship with wine began in an unremarkable way, with his picking up the occasional bottle at the local supermarket. He didn’t go to wine auctions, and he never imagined building a temperature-and humidity-controlled cellar to preserve his bottles. “I liked drinking it, mostly,” says the West Coast businessman. Ask the Expert: Through October, Maureen Downey will answer your questions about wine. Post a comment with your question. But drinking it led to a serious preference for the good stuff. “Certain wines, once you drink them, it’s like a revelation,” he says. And at the same time, in the early 2000s, the fine wines that Blake began to favor were rising in value, making them a good investment as well as a palate pleaser. And so the casual drinker became not only a connoisseur, but a collector. He selected three bottles of 1928 Chateau Petrus, each priced at $3,000, one bottle of 1964 Henri Jayer that set him back $6,500, and dozens more. In a series of purchases that month, Blake spent nearly $300,000, plus shipping costs, on Bordeaux wines alone. The cases arrived and Blake tore them open. But once his excitement died down, he had some doubts. One of the bottles struck him as odd-looking, but he couldn’t put his finger on why. He turned to rare and fine wine expert Maureen Downey, who, among other things, distinguishes truly fine wines from imposters. Out of 52 bottles of very expensive wine, Downey deemed one bottle real. It took Downey (SHA’94) almost four months to thoroughly examine every one of Blake’s bottles. She found that her client had some good reasons to be dubious about the wine. Take the 1928 Petrus. Three bottles supposedly produced in the same year by the same winery were suspiciously dissimilar. Examined closely, they were different colors, shapes, and heights. Two were handblown, one was molded. The capsules (the thin tin, now aluminum, seal you break to get to the cork) had been glued on. Two sported a generic red crown logo, while the third featured a generic bunch of grapes. And the labels? With a magnifying glass and high-resolution digital photography, Downey could clearly see pixilation indicating that they were printed by a computer. Similar signs of fakery cropped up throughout Blake’s purchases. Labels were scuffed with dirt to look old, but failed to show true fading from oxidation. Corks that were obviously new were stuffed into bottles labeled with vintages decades past. There were older corks with chunks missing—but no corresponding chunks floating in the wine. Downey found dirt under labels, utterly inconsistent with known practices at the wineries they supposedly came from, indicating that a forger had applied the labels without even washing the bottles first. There were bottles allegedly corked 80 years ago that were filled up to the neck—an obvious tell, as some of that sweet nectar would have evaporated over the decades. At the end of the four months, Downey gave Blake her verdict: out of the 52 bottles he had purchased, one was real. Blake’s experience is unusual, but only in degree. Some experts estimate that as much as 5 percent of rare and fine wine sold on the secondary market is fraudulent, largely because many merchants and auctioneers lack both the expertise and the motivation to authenticate every bottle. Not so for Downey. The tint of the glass and the look of the packaging are some of the very things she uses to shine a bright lantern through that fog. What to look for when you’re looking for fakes. Label shows no sign of wearing or oxidation, and appears to have been “aged” with applied dirt. Glue, which should never affix a capsule, is found under the capsule. It’s probably an attempt to hide a newer cork. Graphics are missing or wrong. A shrub should be behind St. Peter. The hash marks on eyes and hands are wrong. Cork is youthful and blank, and not even slightly saturated. Label is inconsistent with production standards of the time. Authenticating wine is just part of Downey’s work, but it’s the part that turned her into a sought-after commentator following last year’s indictment of suspected wine counterfeiter Rudy Kurniawan, aka “Dr. Conti.” One of a handful of authentication experts in the rare and fine wine industry, Downey began voicing doubts about Kurniawan’s “magic cellar” almost a decade ago. Now vindicated, she’s been doing interviews with Vanity Fair, Inside Edition, Fox Business Network, and CNBC’s Crime Inc.
A close look at the letters, says rare and fine wine expert Maureen Downey, reveals that the edges are not as sharp as they would have been if they’d been produced by metal and ink on paper, the technique used when the wine was allegedly produced, in 1928. Instead, the uneven edges suggest that the letters were reproduced by more recent printing techniques. What’s Wrong with this label? Based in San Francisco, Downey runs Chai Consulting. (Chai, pronounced “shay,” is French for wine cellar. “I don’t make tea,” Downey says.) With a staff of six, she manages clients’ collections of high-end wines—usually bottles numbering in the thousands, often worth millions of dollars. She transforms cellars chockablock with haphazard piles of boxes into neatly arranged repositories organized with the help of spreadsheets and labeling systems. She helps clients cull their collections to adapt to their changing tastes or lifestyles, figuring out which bottles to sell and determining the best price for them and finding deals when owners want to restock. She acts as an appraiser, sometimes in sticky situations arising from a divorce or an inheritance. She teaches about wine and testifies about it in court as an expert witness. And it all started at BU’s School of Hospitality Administration. Wine collectors have fierce separation anxiety when it’s time to sell. Downey was certified as a sommelier shortly after graduation, and was soon hired as manager of Tavern on the Green, the storied restaurant then in New York City’s Central Park. By 2000, she had decided she didn’t want to work another Christmas. She became a wine specialist for auction houses and earned more wine certificates before striking out on her own in 2005. Twelve bottles of the same alleged vintage have glass from different time periods made with different production methods. What’s Wrong with these bottles? “We’ve had standoffs,” Grandison confirms with a laugh. The capsule is shiny and very clean. It looks too new for the vintage. What’s Wrong with this capsule? Kurniawan appears to have fooled some of the country’s most highly regarded wine connoisseurs, dealers, and bloggers with his tales of rare wines found walled up in cellars in Europe. “Some of these wines were made in such minuscule amounts,” Downey says, “and then suddenly this guy shows up and he’s got cases and cases and cases of them.” Eventually, the number of rare bottles Kurniawan somehow produced strained credulity, the number of empty high-end bottles he collected from restaurants raised questions, and the threads of his alleged deception unraveled. In May 2012, the FBI raided his home and found thousands of top wine labels, hundreds of corks and a corking device, sealing wax and rubber stamps, glue, stencils, instructions for fabricating labels, empty bottles soaking in the sink, and cheap bottles of Napa Valley wine marked with the names of classic Bordeaux brands to be impersonated. Kurniawan’s trial on multiple counts of fraud is set to begin this fall. Those labeling and corking materials were key. Fraud detection has nothing to do with the taste of a wine, according to Downey. “If you’ve got something that’s been in a bottle for 40 or 50 or 100 years, there’s going to be bottle variation,” she says. Not to mention that some wines were transported in different types of barrels before even being bottled. “Some threads should carry through, but nobody on the planet has so much experience with these incredibly rare wines that they can say with any degree of accuracy, ‘Oh, yeah, this is correct.’ They made, what, 200 cases of Petrus in 1920. And at the time it was a peasant wine nobody gave a sh–t about. So now for somebody to say, ‘This is totally classic 1920 Petrus’—bullsh–t.” If taste told the tale, she points out, Kurniawan never would have pulled off the giant con he’s charged with. Many burned buyers—often captains of industry who pride themselves on making wise decisions—are reluctant to raise a stink when they learn that a merchant has sold them worthless wine at market prices. Which is why Downey values clients like Blake, who received full restitution from the Manhattan retailer and worked with her and the FBI to uncover the original source of the bogus Bordeaux he had purchased. Downey feels strongly that shops should do their homework when buying wine wholesale. Of course, she points out, it’s not in their interest to ask too many questions. And a healthy, growing market it is. Total wine sales in the United States jumped 5.3 percent from 2010 to 347 million cases in 2011. The Wine Institute estimates the retail value at $32.5 billion. “Wine is recession-proof,” Downey says. Downey certainly qualifies as an expert at navigating a wine list. But what does someone who works with high-end wine all day drink when she pours a glass for herself? Through October, Maureen Downey will answer your questions about wine. Congratulations on your accomplishments Maureen. There are only a hand full of us counterfeit wine identification specialists and wine appraisers out there. It’s a small pond. I am still open to collaboration should you return the call sometime. Thank you. It has not been an easy road being the only woman, and the major naysayer by calling out the fraudsters as fraudsters in real time. I have been trashed professionally, physically threatened, even once assaulted at a fine wine dinner in NYC. People have given false testimony about me to discredit me…. You name it! Unfortunately – they are all still in business, save the sap that they funded to make the counterfeits, who goes on trial in NYC starting next Monday. I do laugh that the stereotypical wine expert is a British man with a bow tie and a snobby attitude – and I am about as far away from that as can be imagined. But maybe it took the nonstereotypical me to help unravel the fraud these scum have perpetrated on the fine wine world. After all, I was not swept up in the ‘cool-guy’ feel of the big (fake) wine dinners and pump & dump scheme they employed to make themselves rich. It was gross to watch, it was obvious to see – and I remain stunned at the number of people who continue to claim ignorance. I pray they get theirs, and the trial next week may be a great start! And hey – at least I can sleep at night! Congrats on being in that program – it is fantastic! I have many friends and colleagues that have completed it – I am jealous! I am often in Bordeaux, and will absolutely let you know when I will be there in the spring. Please do contact me via email so we can stay in touch (www.chaiconsulting.com) and please let me know if I can be of any assistance in the course of your studies. I too love spicy reds and have some really fun ones for you to look for – not unlike some of the suggestions I gave Gary, you should look for the reds of Austria: St-Laurent, Blaufrankish, and the cross of the two Zweigelt, as well at the reds of Jumilla, Yecla and other affordable, fun quaffers from Spain. In the USA, look for some Zinfandels from Paso Robles, Dry Creek and of course Petit Syrah (which is NOT he same as Syrah!) from all over California. Some will be quite big – but all will have a spicy component that is very attractive. FYI – All these wines are GREAT accompaniments for holiday foods! PS – I agree, these graphics are the coolest I have ever seen! I absolutely share your concerns with the potential nefarious uses of the Coravin, and I do expect to start to see refilled bottles from this in immediate future – if they are detectable….. The fact that the label, capsule and cork will all be correct is beyond scary. It will not take much to reverse engineer that toy into a counterfeiters tool. However, I think the benefits to consumers are also great, and am thus a fan. We cannot be afraid of technology because of the ways criminals can use it – we should celebrate the positive advances such technologies afford. I bought/suggested the purchase of Coravin for all our big clients. Anything that will let collectors confidently consume fine wine over the course of a week or two instead of a night is a huge bonus. People who think they can extract a glass and put the bottle back in their cellars for months are in for a rude awakening… So stick with the one- to 2-week time frame and you will be in good shape. Finally, I think you can accomplish the same result by using the readily available and MUCH cheaper CO2 canisters that have been around for some years. But you still have to open the bottle and then gas it and… Coravin is just easier. The nitrogen they use is not a better blanket than CO2, but it is far more expensive, so they will make more on the replacement canisters – and that is actually how they will make money on the product. It will be interesting to see how it does. It was just introduced into Europe – I cant wait to see what my colleagues there think of it. YOU CAN EXPECT A REPLY!! I am so sorry that it has taken me so long, but I have been in India/Hong Kong/London since Oct 16th for a little fun, and a LOT of work. I will now get to answering all questions as I am back at my desk, catching up on everything. I would like to sincerely thank you all for your patience in awaiting a reply. Well written… bring back wine education to BU! I would really love to help SHA develop an undergrad wine program. That is how I started, and as I have put in my presentations, I am floored that such a HUGE part of the economy and the hospitality industry is ignored bu the BU hospitality school. It should be mandatory to learn at least the minimum about wines & spirits as every hospitality exec NEEDS to know about these subjects. What do we need to do to encourage the school to make wines & spirits part of the undergrad curriculum again? I posted my question on October 31st but have not had a reply. Can I including the other people dating back to October 15th still expect a reply? Please let me (us) know. Yes! Please expect replies to the questions shortly. Thanks to everyone for your questions–and your patience. Read your article last night: loved it, really fascinating. Alcohol 12% by volume – Produced and Bottled by ROBERT MONDAVI WINERY Oakville, California” (label), which I brought home from a memorable trip on the QE 2. It was never opened. I don’t have a wine cellar but kept the bottle in a cool, damp, dark place. There seems to be some sediment and also evaporation and the capsule has the “RM” stamped on it. What should/can I do with it? Chill it down and enjoy it – It should be wonderful! Sweet wines and fortified wines are a bit sturdier than dry wines. This is the perfect season for that wine. What kind of wine goes with sushi? This is a good debate – but I think the one wine that simply goes with everything is champagne. You can’t go wrong. I also think some Austrian dry whites would work, again depending on the sushi! Greuner Veltliner Dry Riesling…. That said – I typically drink sake with sushi. Maureen – I am inspired by your tenacity! Your successful career is no doubt impressive regardless of your being a female… But I have to say it is really inspiring to see a woman leading the charge to protect the integrity of a product that holds as much allure as it does value. Here in Oregon, we are fortunate to know many potent women pushing the quality and reputation of our wines into new realms. From winemaking to vineyard management to sales and more, I feel very fortunate to have amazing female role models here, not to mention many men encouraging equity for us. If you make it to Oregon in the future, I’d be glad to help you plan a truly incredible adventure in wine country. Dear Maureen – a great article and a very exciting job! I am a BU alumna (CAS’92) living in Bordeaux, about to complete my Wine & Spirits MBA. Please let me know if you are making any public appearances in my part of the world. Forgot to mention the website “pour” graphics for this story … they are superb! I loved this article! And I’m glad my daughter went to BU and that the Bostonia magazine comes to my address, as she lives overseas (Myanmar)! My wife and I like “spicy” red wines, with our favorite grapes being merlot and tempranillo. During the week, we might have a Beaulieu Vineyard Coastal Merlot ($9). On the weekend, we’ll have a slightly more expensive wine … our most recent favorite was a Volver tempranillo ($13). Ms. Downey, would you have any suggestions for us?! What do you think about the new Coravin wine preservation system? Have you used it? Specifically, do you think it is a good investment (at $300) for someone like me, who loves good wine but does not want to drink a full bottle in one evening and is frustrated by the extremely limited availability of half-bottles? Also, do you think criminal counterfeiters will use the device to remove genuine wine from a genuine bottle and replace it with inferior wine, all with limited evidence of tampering? Pinot Noir is one of the most difficult grapes to grow and vinify, so it is unfortunately not the cheapest of low-cost options. That said, there are GREAT examples from all over the world available at any local wine store, or grocery store (in non-control states!). 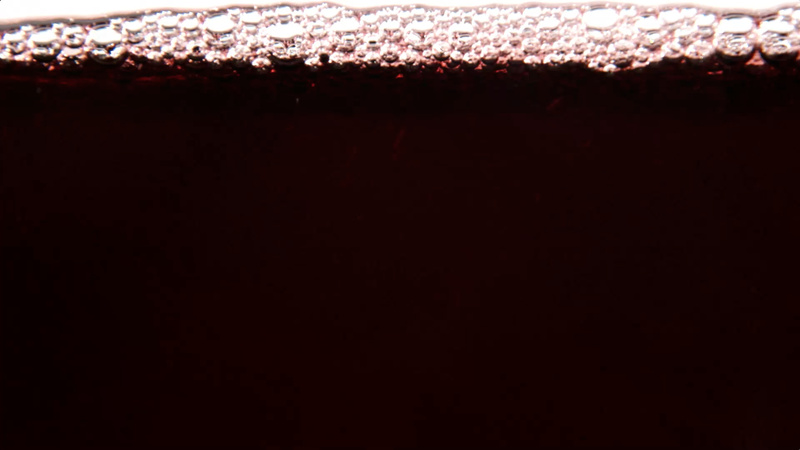 Beaujolais – which is made from the Gamay grape in the Beaujolais region of France. And Grenache-based wines from the Southern Rhone Valley like Cotes du Rhone. There are also affordable wines made from Grenache made all over Spain. From Austria there is St-Laurent, Blaufrankish, and the cross of the two Zweigelt. In Italy’s Piedmont region the grape Dolcetto is worth a try. One other point I would suggest is that all these wines can be enjoyed with a slight chill. I like to give a slight chill to many light red wines, as they should be served ‘cellar temperature,’ which is 55 degrees. A good rule of thumb is to take whites OUT of the fridge 10 mins prior to serving and put reds INTO the fridge 10 mins prior to serving. I am a wine novice. I usually drink one glass of Pinot Noir daily for health and pleasure. I am currently on a low budget. Which low-cost Pinots would you reccommend? Also since I like Pinot Noir, what other wines are like it that I may enjoy? I loved the article in Bostonia! I find what you do fascinating!